There has been a lot of fanfare recently surrounding the Wirex brand. So, we thought now was a good time to conduct a comprehensive Wirex review and educate our readers on this cryptocurrency-friendly platform. Our Wirex review spans everything from Wirex fees and the Wirex app and any other key talking points that would make you consider signing up. As cryptocurrencies are going increasingly mainstream, falling into the hands of everyday consumers, technology is developing fast to create cryptocurrency wallets that will keep digital assets away from cyber-criminals. That’s where Wirex comes in. What is Wirex? Wirex is a British company that offers cryptocurrency wallets linked to physical and virtual debit cards. It also allows users to trade fiat currencies. The platform was founded in December 2014 under its previous guise of ‘E-coin’ and has since gone from strength to strength. Think of Wirex as a debit card for cryptocurrencies, allowing for low-cost asset transfers anytime, anyplace. It already has over two million active users in more than 130 countries. You can buy Bitcoin directly using the Wirex app via bank transfers and PayPal in exchange for fiat currencies. It is also possible to spend your Bitcoins on the high-street as the Wirex debit card converts Bitcoin into fiat currency, allowing you to spend offline as well as online. In August 2018, Wirex proudly announced it had been granted an e-money licence from the UK’s Financial Conduct Authority (FCA). 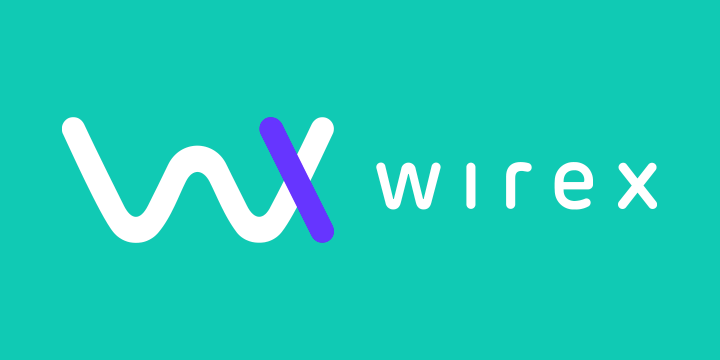 In doing so, Wirex became only the third cryptocurrency-friendly company on the planet to have been granted such a licence. The e-money licence has since boosted consumer trust in Wirex and cemented its position as a global player for offline cryptocurrency transactions. The FCA’s decision to grant Wirex an e-money licence is a testament to the platform’s commitment to transparency and integrity. Although the licence did not affect the Wirex app, its wallets or its debit cards, it opened up the platform to a host of new e-money accounts around the world. If you are wondering what the Wirex trading platform is like when it comes to buying and selling supported cryptocurrencies, this Wirex trading section will detail all you need to know. It is possible to buy, sell and transfer Bitcoin, Ethereum, Litecoin and Ripple on Wirex. These four supported cryptocurrencies can be bought using GBP and stored in a Wirex web-based crypto wallet. These Wirex web wallets can also send and receive cryptos to and from other cryptocurrency wallets outside of Wirex. Via the Wirex trading account dashboard, it is possible to exchange currencies and move Bitcoin from your Wirex wallet into your GBP fiat currency account to be spent using a VISA debit card. Both the browser-based dashboard and the app-based dashboard work intuitively, with clean designs that are easy to use and understand. Wirex users can earn 0.5% cashback in Bitcoin for making purchases with their Wirex cryptocurrency debit card. Wirex fees begin with a £1 monthly account management fee, regardless of your account activity. ATM withdrawals are capped at £250 per day, while card top-ups are also capped at £1,000 per day. Wirex withdrawal fees for ATMs in Europe are £1.75 per transaction and £2.25 per transaction outside Europe. Wirex’s Bitcoin exchange rate is around 1.5% above the real BTC/GBP exchange rate but is still highly competitive. The maximum account balance is £15,000 but you can only top up your account with £5,000 per day using debit or credit cards. If you wish to fund your Wirex trading account with the full amount, it would be better to deposit via UK bank transfer. Wirex supports the ‘Faster Payments’ transfers, so deposits can be in your Wirex account within an hour. If you have any queries or questions regarding your Wirex account or debit card, you can email the support team using your linked email address, creating a ticket request in the process. Users of the native Wirex mobile trader app can generate support tickets within the app. Click ‘Contact Support’ or ‘Contact Us’ in the ‘Settings’ section to get the ball rolling. You can also leave a comment on the Wirex Facebook wall for general enquiries and feedback. Browser-based users can also liaise directly with the Wirex customer support team by clicking the ‘Open Chat’ button to begin a live chat conversation. Wirex is fast becoming one of the game-changers in the cryptocurrency industry. If cryptocurrencies such as Bitcoin and Litecoin are ever going to become ingrained in the mainstream for consumer purchases, platforms such as Wirex need to be celebrated and adopted. The ability to spend your cryptocurrency assets anywhere in the world via debit cards is much-needed. It means Bitcoin owners no longer need to go through the rigmarole of trading their coins for fiat currency as the Wirex platform does it all for you at the point of sale. Getting 0.5% cashback in Bitcoin on all purchases using a Wirex VISA debit card is also ultra-competitive in the industry. This not only helps consumers to build up their own portfolio of Bitcoin but incentivises them to use their Wirex card for anything from a pint of milk to a trip to the cinema. On the whole, our Wirex review confirms that this is a much-needed platform to help drag cryptocurrencies into the mainstream market. You don’t need to have a lot of knowledge of Bitcoin to be able to buy and sell it and store it for use when purchasing goods and services. The Wirex debit card is a VISA, which is one of the world’s largest debit card providers, so you can rest assured that Wirex is a secure place to buy, store and spend cryptos. Its crypto wallets are also licenced by the FCA to add even further credence. However, as with most things in life, it’s a good idea to dip your toe into the water first. Deposit a small amount to see if they are secure and safe before trusting them with a lot of your hard-earned funds.